Hello and Welcome to Inside the Healing Journey, the GPS to guide you through the labyrinth of your healing journey. My name is Marilynn Vanderstaay and today as a community investment specialist I make things happen as a journalist/writer, speaker/trainer, and artisan. Thirty years ago, however, I was in the battle for my life and am a big time cancer and brain trauma overcomer. A few weeks after I was diagnosed with stage four ovarian cancer, a friend asked me if I had only a year left to live, how was I going to live it? I smiled and told her emphatically I did not have just one year, but if I did, I would spend it living, not dying. And if I did happen to die, I would have died living life to the fullest. That answer, along with four life directing quality decisions I spoke and wrote in the doctor’s office at the time of diagnosis, set the course for my path inside the healing journey. That is 30 years and metastases to the lung, the brain stem and then the frontal lobe followed by an arduous climb up the steep slippery slope of a mudslide of extreme brain damage later. Through this site, a virtual GPS written for the generation that is forever young, our parents, our children, our grandchildren and even our grandchildren to guide you through the labyrinth that when followed will help those dealing with life threatening, debilitating or chronic diagnoses navigate through the healing journey. And as with any labyrinth, when you come to a detour or road block or even a landmine, the GPS will help you find your way to where you got off track and set you back on the right path so you can continue and not turn back. Throughout my personal healing journey I learned how to enjoy a life worth living spirit, soul and body and even socially and financially. Wholeness. A new way of living that is more meaningful, fulfilling and satisfying than I could have ever imagined. A life worth living. When I arrived at the entrance to the healing journey 30 years ago there were no signposts, maps or guides of how to get through the labyrinth that is the healing journey. 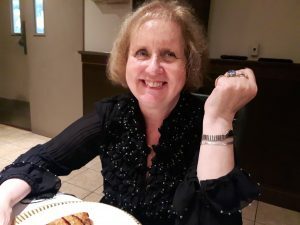 Dropped by the side of the road at only 34…I had never even heard of ovarian cancer… there were no known cancer survivors around me to show me what to do. Determined to live and not die, I set out on the path… in those days a virtual pioneer… having already decided I would do what ever it took to get healed. Six years and three metastases and a second primary later, my doctors called me healed, not in remission. But there was still that mudslide of extensive brain damage to get up and over. I did it, and so can you. This is site is a very transparent précis of where I have been and exactly what I did step by step to get through the healing journey and updated to facilitate what is available today. I have pulled together the tools, the resources, the strategies, the attitudes and the positive realignments of my lifestyle, under the umbrella of a Judaeo-Christian perspective, I personally pioneered to overcome five life threatening cancers and subsequent challenges including a climb up and out of the mudslide of extreme brain damage. Immediately when I was first diagnosed I made four life directing quality decisions right in the doctor’s office that would set the direction and the road inside my healing journey. You will be able to download those decisions, and a decision worksheet so you can make your quality decisions of how you are going to travel your healing journey. You will learn about the dramatic decision and life changes I made when a major roadblock in the form of a metastasis to my lung forced me to take a sharp detour into the realm of alternative and complementary medicine and diet changes that not only fed my body, but gave it the nutritional arsenal to fight the cancer and heal itself. You will be amazed to learn how I successfully climbed up and out of the mudslide of severe brain damage, a result of two bouts of brain tumors that left me legally blind, spatially challenged, face blind and more. So much so my neurologist has never seen anyone come back from the brain trauma with so much strength and vigor. I am an over-comer ! And you will cheer when you read about how in 1994 my doctors called me healed, not in remission. And how in 2014 I was able to complete my dragon boat race in the form of organizing and setting up a Thanksgiving dinner for 12 in my dining room… qute an accomplishement for someone who is spatially challenged and called legally blind. In spite of all that, I have gone on to be a published writer, an inspirational life skills speaker/trainer and an active community investment specialist. And more. and perhaps taste for the first time some of the most delicious and healthy food…yes the two can be synonymous… and have access to easy recipes to create tasty meals. You will learn how to rework your most favorite comfort foods, including desserts, peanut butter sandwiches, soups and pastas, to make them health happy meals filled with nutritious ingredients. is more focused, more peaceful and more fun… yes fun… than you have ever experienced. You will discover the power of laughter, to laugh yourself healthy, and ways to put more fun in your life. You will learn how to feed your spirit with the healing food, the living Word, and your words it needs to strengthen itself and be able to stand up to anything … including cancer… that comes against you and to help you focus on what is really important in life. And you will learn, perhaps for the first time, how to pamper yourself with WOW by wrapping around you the things you really enjoy. To make it as easy as possible for you, I have included links to all the products and services I personally used so you do not have to spend precious time googling or shopping for them. It’s Too Late to Quit!!! So make the quality life directing decision now that you are not going to quit – you have already come this far- it is too late to quit. Decide now you will do whatever it takes to be healed and restored. And that you are going to enjoy the trip that may sometimes seem more like white water rafting. After all, if you let Him, the Most High God, pilot your boat, you may get wet, but you will not crash. 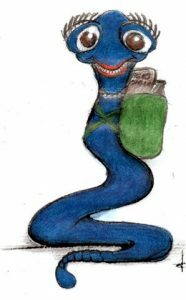 During my healing journey I met Faith Worm ™, a chic little worm with teeth and the fearless attitude that she can roll up her sleeves and chew through anything while maintaining her dignity and grace to get the job done… no matter what it takes. Through the years she introduced me to her friends who will show up at different times to guide and encourage you as you find your way inside the healing journey. 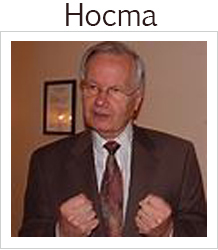 Hocma is Hebrew for Wisdom… and is feminine in gender. Disclaimer: There are no guarantees that by following the path I took you will be healed or restored. But I can say however that if you do choose to make your way through the labyrinth inside the healing journey, and make the quality decision to live and not die, if you do happen to die, you will die living and not dying.